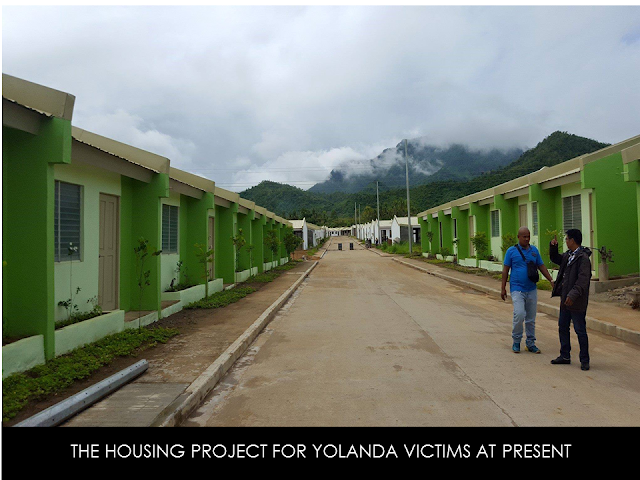 Three years after the onslaught of typhoon Yolanda, the affected residents will finally have decent homes through what the Presidential Assistant for the Visayas, Michael Dino described as "Duterte Speed". 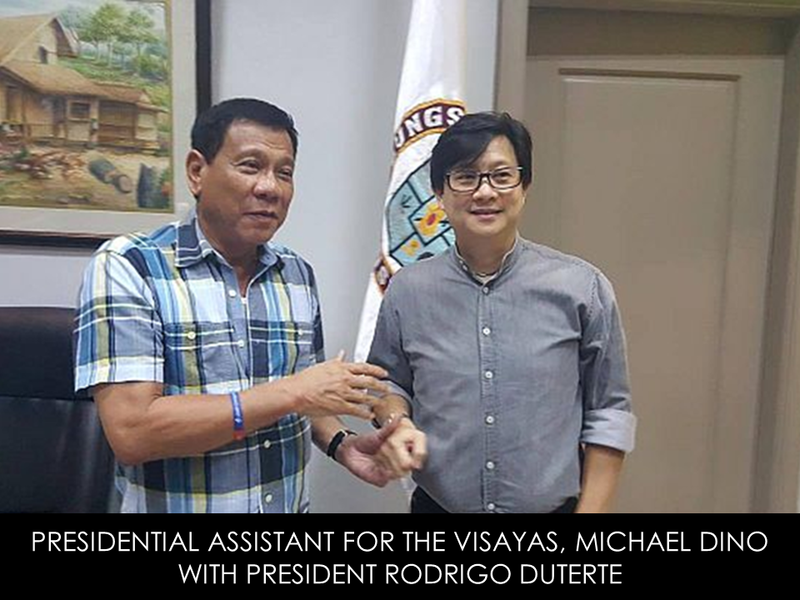 President Rodrigo Duterte put Presidential Assistant for the Visayas, Michael Dino in charge of the Yolanda Housing project during his visit last November 10, 2016, after learning that after 3 years, the victims are still living in shanties and the housing project designated for them is still not finished. The President was not satisfied in the outcome of the project , and so he put Mike dino in charge.After 18 days, the Yolanda stricken residents are now ready to move in. PAV Mike Dino described the speedy action as "Duterte Speed". 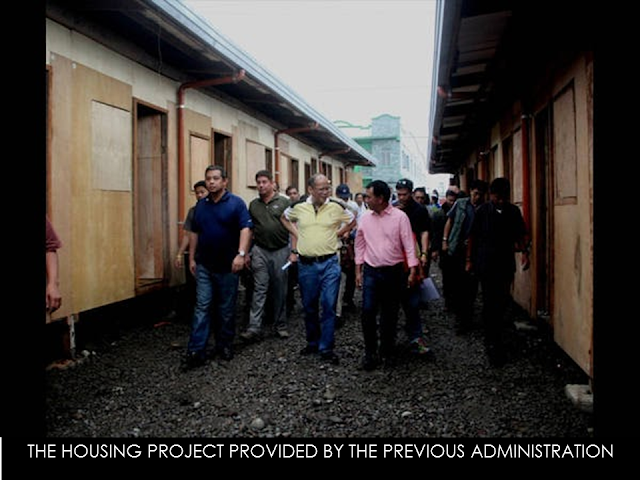 From the President's visit, it was only 18 days and some 280 families are now among the first batch to move in. 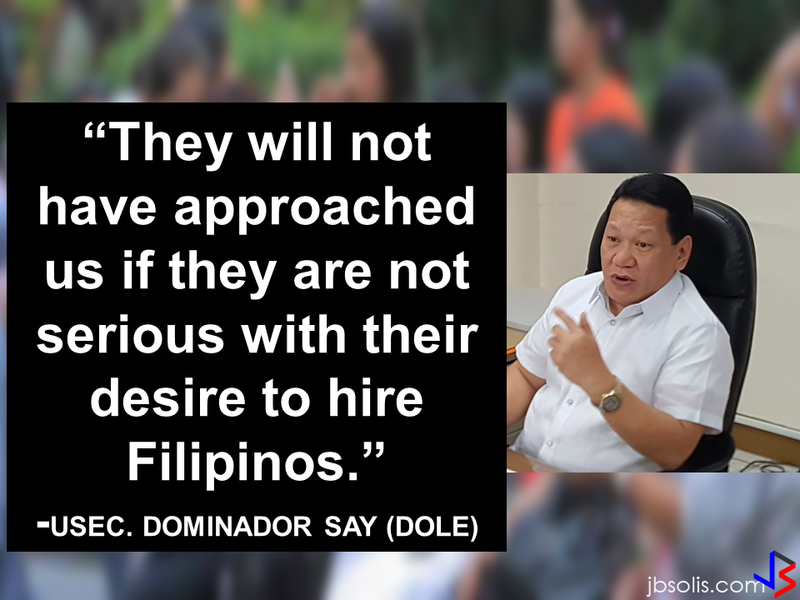 Dino said that the moving in will continue everyday as the project continues to be completed. "One spoonful at a time," he said. The new houses has been provided with electricity. As for the water supply, the government provided water tanks for potable water just for the mean time while they are waiting for the Local Water Utilities Administration (LWUA) to provide water lines for the project. 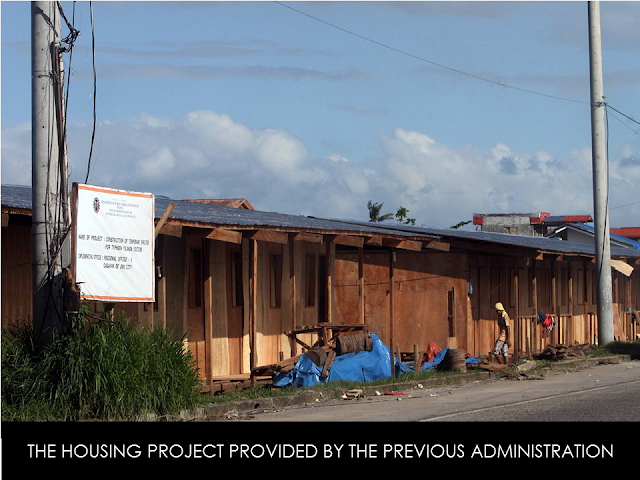 During the transfer, the local AFP personnel also helped the residents by providing trucks for hauling their belongings. 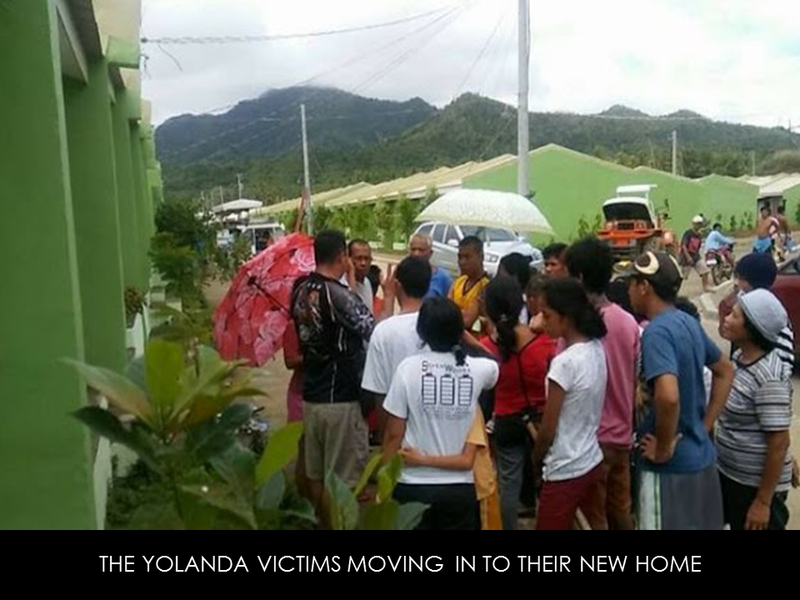 Buses were also provided for the transportation of the residents. Establishment of public transportation routes is also one of the priorities of the local government for the residents to go to their schools and workplace hazard free. As compared to the housing provided by the previous administration, the present housing is far well-off. 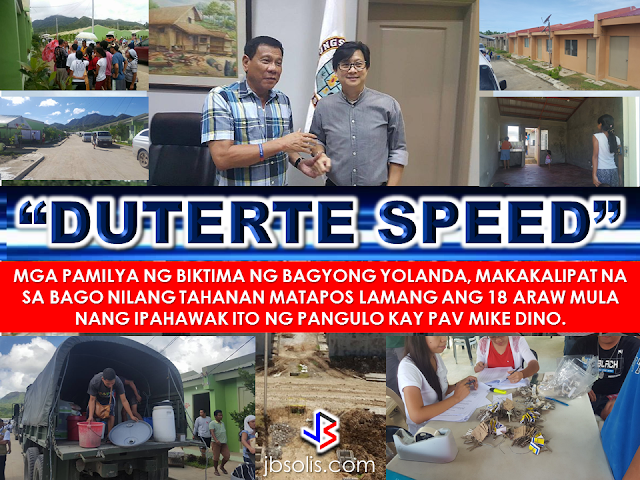 After 3 years spending their Christmas at shanties, the Duterte government provided the Yolanda victims, through sweep action --- "Duterte Speed", with the help of people like PAV Mike Dino, the greatest Christmas gift: a place they can finally call their new home.